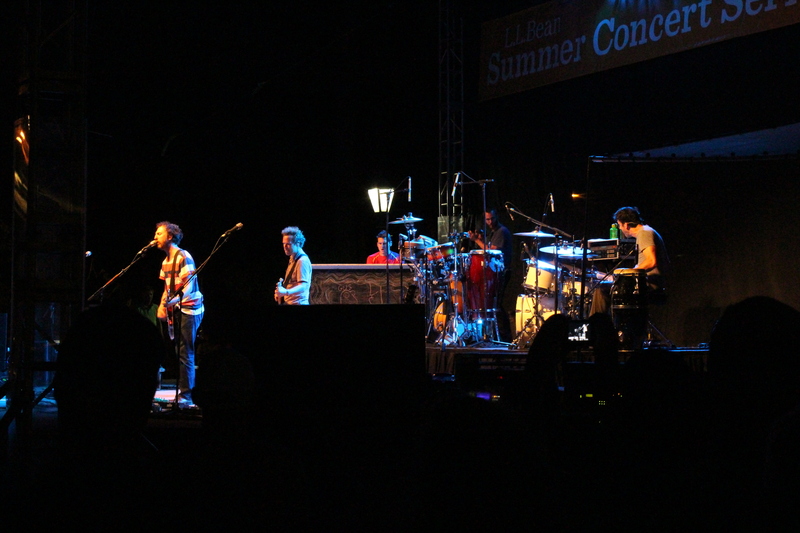 I hadn’t seen Guster in ages, and I’d missed seeing them live. They really know how to entertain. 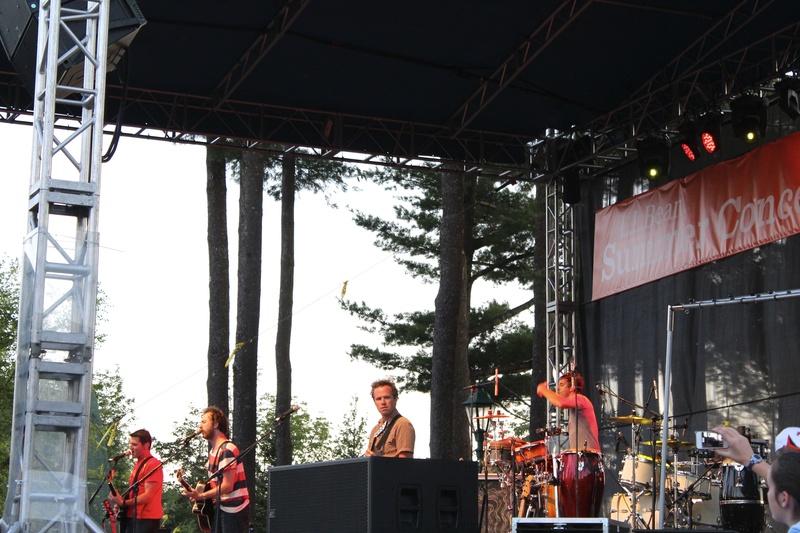 My favorite Guster memory is when they came to play at Bowdoin in 2000. My roommate chaired the Campus Activities Board, so my job was to “keep Guster happy” for the day leading up to their show. I ordered their lunches, helped them navigate campus, taught Adam the home keys on the computer keyboard, and took Brian to try to find a place on campus where we could plug in his Ethernet cord (there was a time before WiFi!) so he could upload the famous guslog. I had a great day with them, and the show that night was glorious and fun as always. 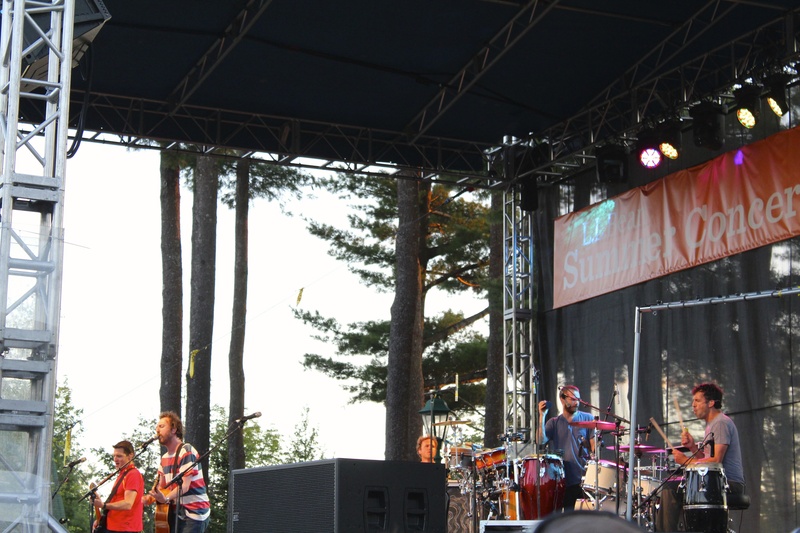 I just looked back through my past concerts, and somehow hadn’t seen the guys play live since 2009 on the pier in Portland. Really?! That was forever ago! They haven’t toured quite as much in the last few years, though, since they are all grown up now and having kids and spending some time off the road. 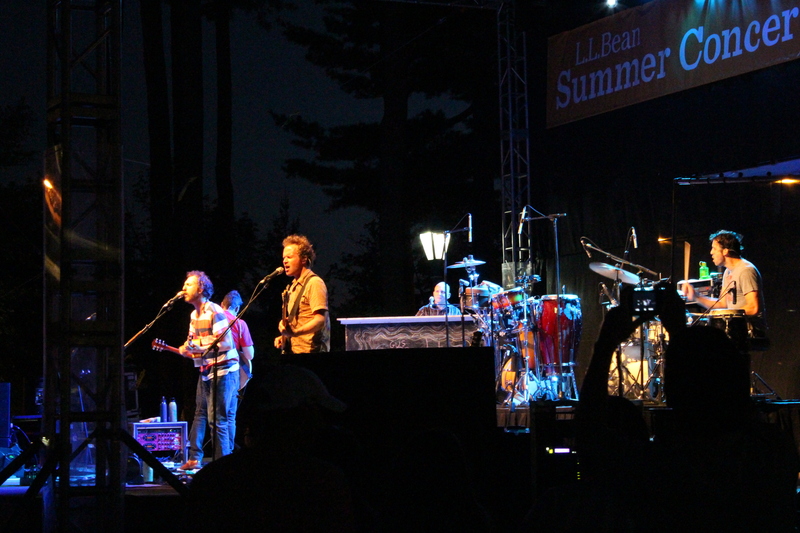 The last time I went to a concert at L.L.Bean was September of 2010. Without getting into too much detail, I’ll just say that it’s a kind service they provide to bring great musicians to Freeport, but I believe they’ve outgrown their space and going to shows there (yes, even though they are free) is stressful. 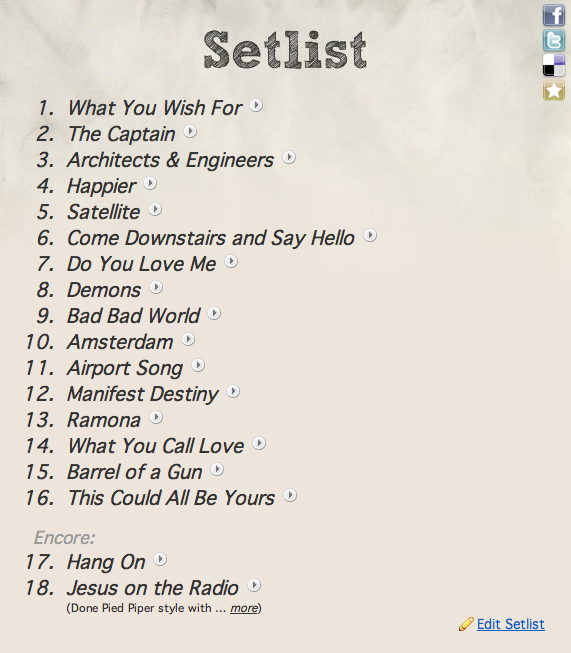 There’s just not enough room to accommodate national acts in that small space. The last time I was there, I showed up at noon for a 7:30 show with my blanket, picnic lunch, and a book to pass my time, and I was at least twenty rows back from the stage without another person in sight. 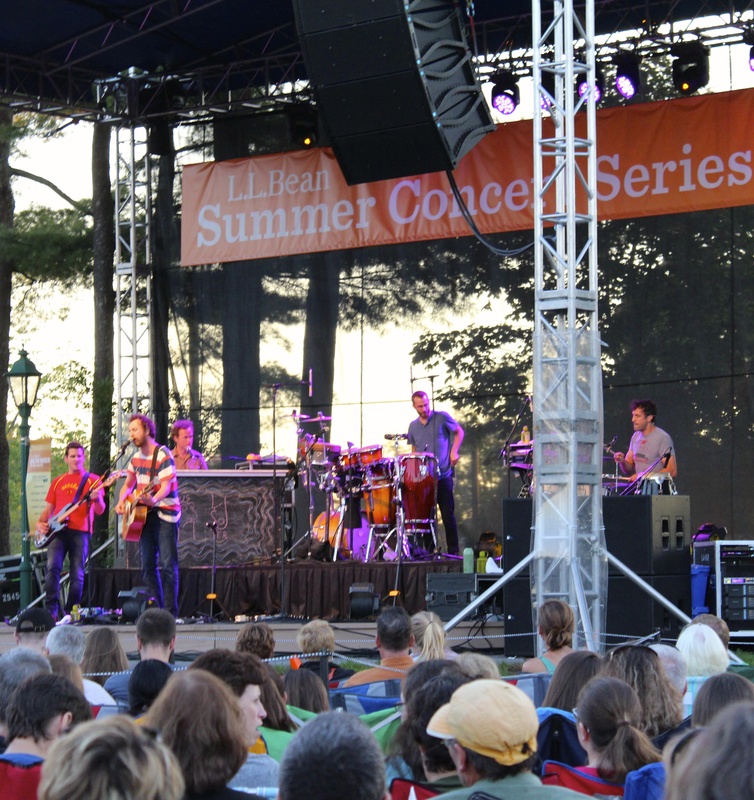 Since proximity to the stage is very important to me (I am partially blind in my right eye, if that helps), I’d decided after that to pass on the L.L.Bean summer concerts. I’d rather pay money to get to a venue before doors open to earn a spot up front where I can see. I understand that’s probably just my set of priorities, but I can live with it. 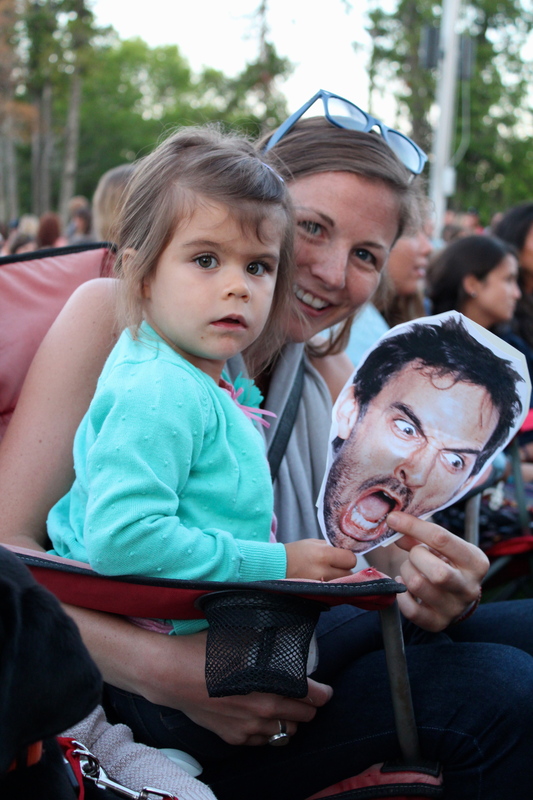 My dear friend Andrea convinced me to go to the Guster show only because she offered to drive to Freeport from Gardiner as soon as she woke up (and she’s a morning person) to set up chairs for us for the show later that night. Even though she got there at 7:30 in the morning, our seats were still seven rows back pretty far from the stage. We learned later from Ryan that people can start setting up chairs at midnight. I thought it was 6AM. Lesson learned. It’s probably not a lesson I’ll need in the future, though. Unless one of you wants to set up a chair for me at midnight! Saturday was a truly marvelous day. 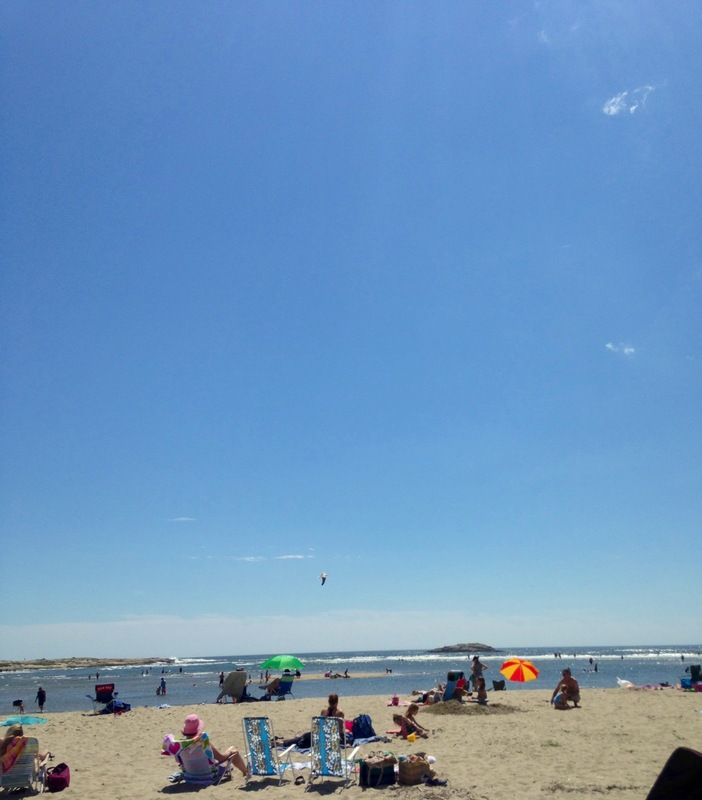 I had breakfast at Water Street Café with Andrea and Ryan and then Andrea and I picked up our friend Kelly in Brunswick and headed over to Popham Beach for a perfect beach day. Our friend Shaun was there with a bunch of college classmates who I hadn’t seen in ages. Kelly, Andrea, and I immediately spent about 45 minutes in the water jumping big waves. It got a lot more fun after our bodies went numb from the cold water. Andrea and I dropped Kelly off and took the back roads to Freeport. I’d met up with my best friend there on Tuesday and had spent an HOUR looking for parking, so I was relieved when I pulled into a lot and found a spot immediately. Andrea and I had a delicious dinner at Mediterranean Grill. Three of my students from last year—Alec, Elliot, and Sam (who are all characters and sat next to each other in my very spirited class)—saw us and ended up sitting down with us while we ate dinner. It was great to catch up with them and actually made me look forward to going back to school in a couple of weeks. We parted ways after dinner , and Andrea and I went to meet her sister Becca and her niece Aurea. 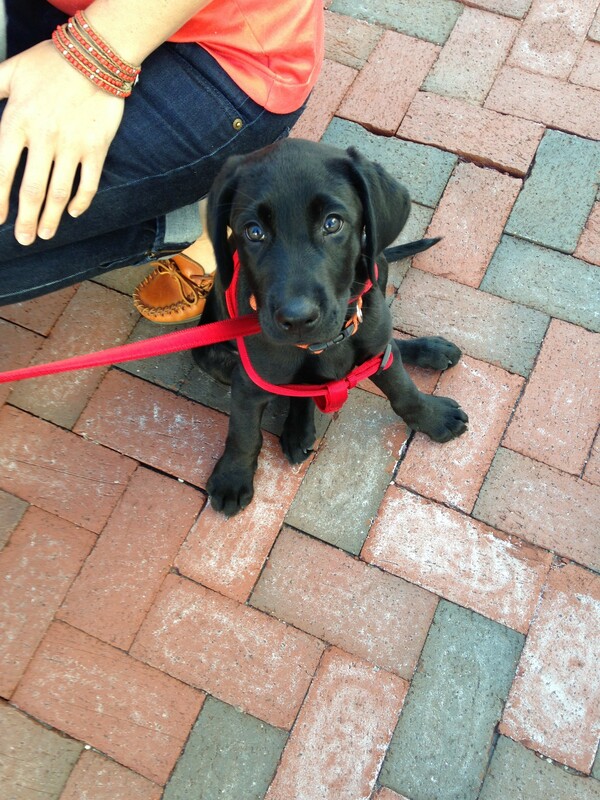 Becca brought her boyfriend’s 10-week-old black lab puppy!!!!! That deserves SO MANY exclamation marks! Ace is a doll. 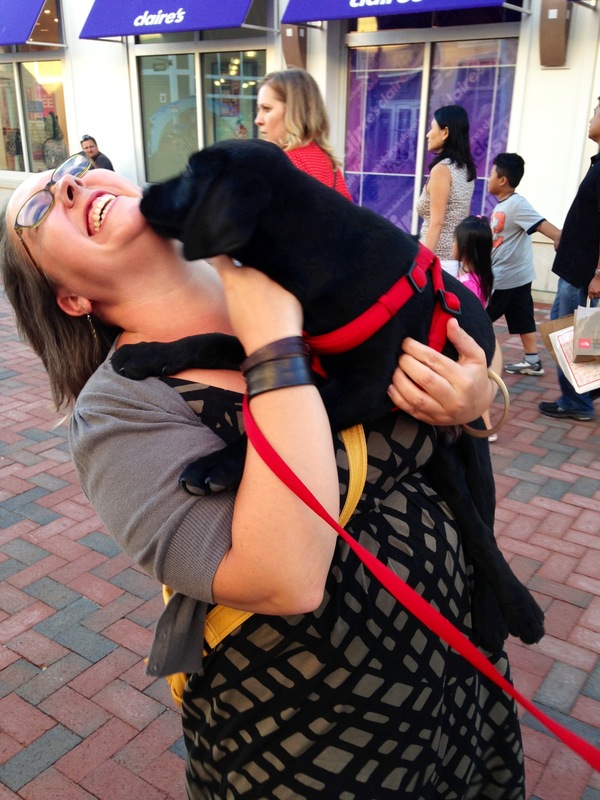 I got to hold him while they went into Coffee By Design, and I wish I had been wearing a camera to capture the happy reactions of the people who passed by us. People just lit up and some asked to pet Ace and then told me stories of their dogs, past and present. I totally get why therapy dogs exist! It made my day! And it tuckered Ace out. When we got to our seats that Andrea had lovingly set up for us, I put Ace in my lap and he promptly fell fast asleep. 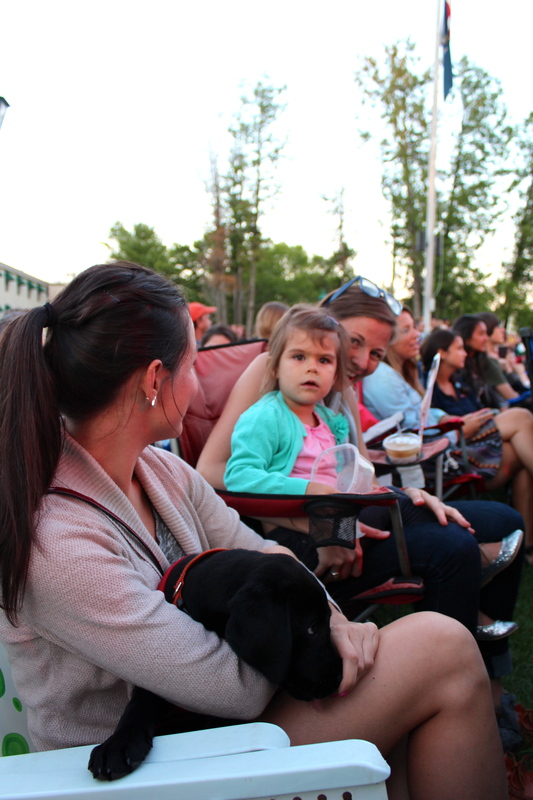 Getting to see Guster (well, until the people in the very front row stood up and I couldn’t really see them anymore) with a tired puppy on my lap was pure joy. 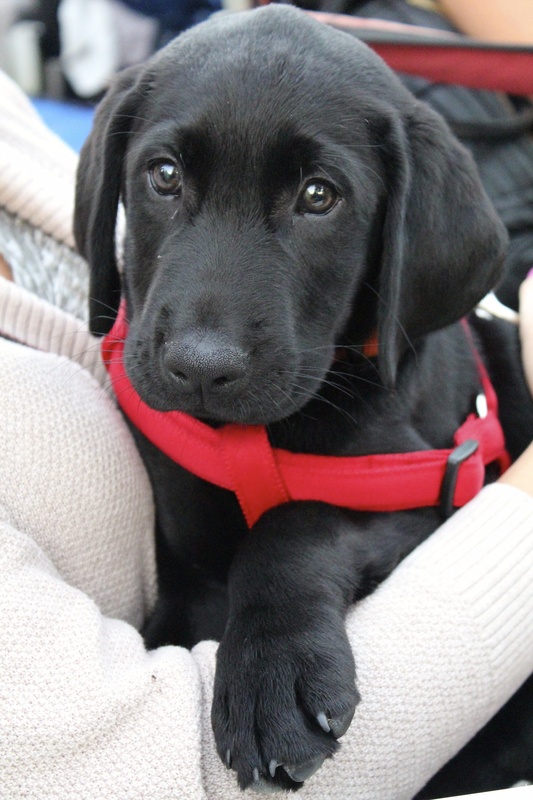 Prepare to be inundated with puppy pictures! Ace! Look at that face! It’s easy to love that little guy! It’s mutual! 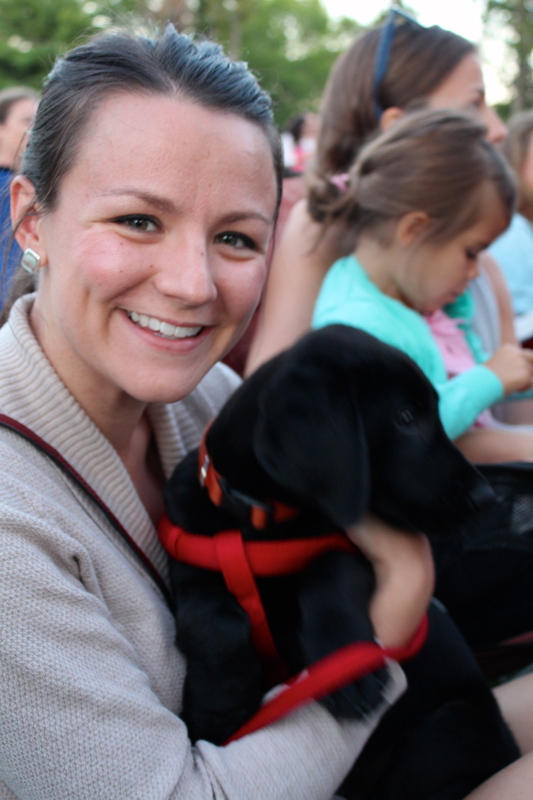 Thanks so much for bringing Ace, Becca!! 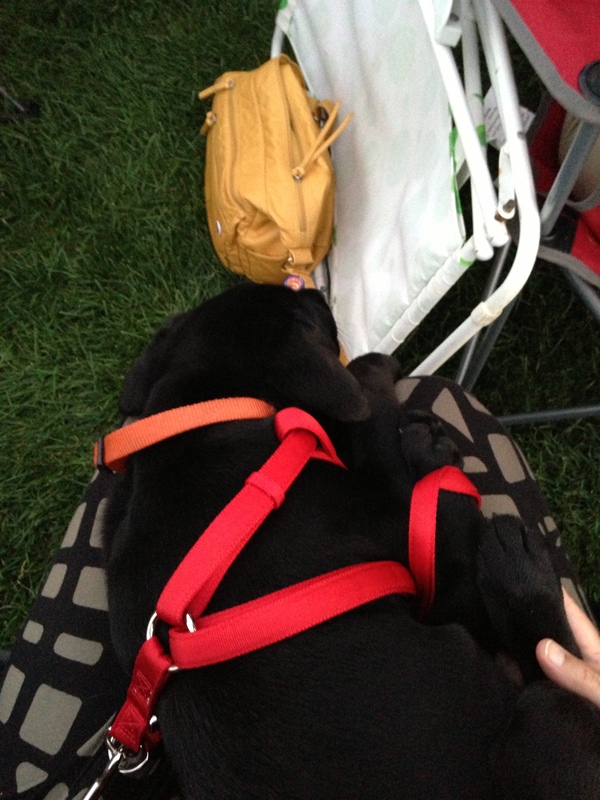 A sleeping puppy on my lap during a Guster show: priceless! 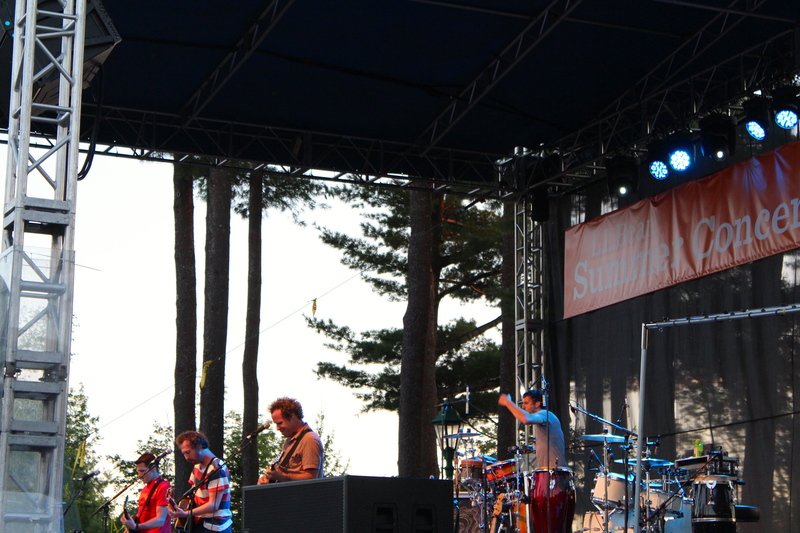 Guster has been together for over twenty years, and they are great live. 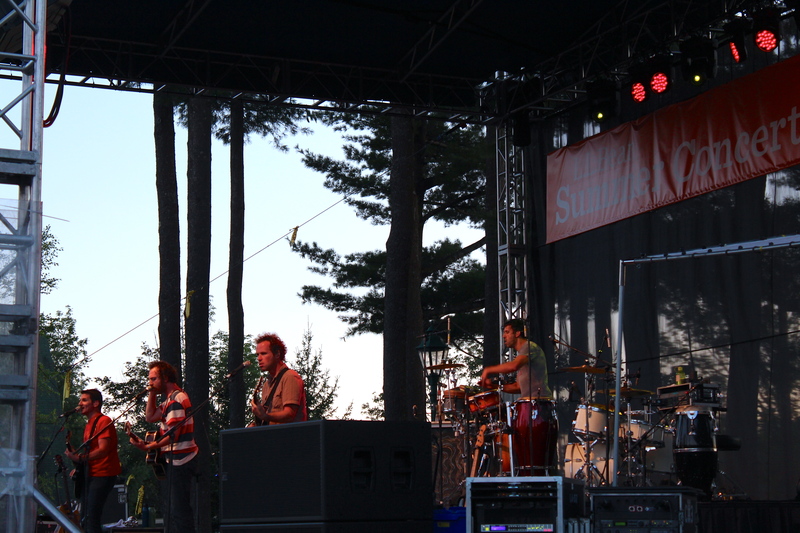 I was surprised when I counted up that this was somehow only my eighth Guster show, because they are always such fun to see and I’m a fan. Ryan takes the lead on banter, and he kept us laughing all night long. 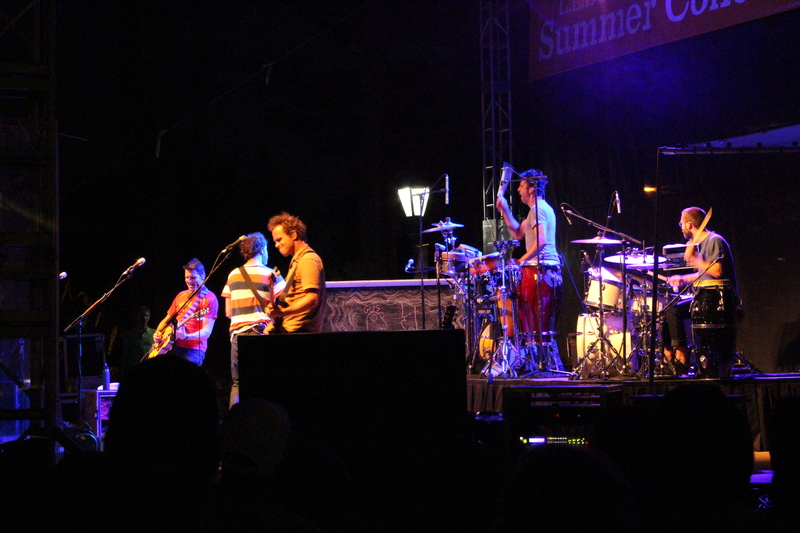 I was happy to hear a mix of their music from over the years, and as I’m especially drawn to their older albums, was very happy to hear classics like “What You Wish For,” “Happier,” “Demons,” and “Barrel of a Gun.” Someone kindly put Guster’s setlist for the night on setlist.fm. Ryan told us how weird it was for them to be playing for a seated audience, encouraged dancing, and also gave a few shout outs to the folks who’d come out at midnight to set up their chairs for the show. A guy made his way through the front of the crowd early in the set and Ryan called him out and joked a little with him about how he must know someone who works at L.L.Bean to get a seat like that (and called him the 1%). Ryan also worked to remember that there were a lot of kids in the audience, so had to do some quick editing on stage. I thought it was sweet when he pointed out the sign language interpreter and joked that it was too much power for him to have a microphone and a human puppet. He asked her name and then asked if she had to sign everything he said. When Meryl nodded yes, Ryan said “I’m Meryl and I’m awesome and deserve a raise!” It was very cute. Alec, Elliot, and Sam swung by to see if there was room near us (lucky them, there was a little) and joined us for the rest of the show. Alec and Elliot are far more proficient with my fancy camera, so they took the majority of the pictures during the show. Guster wrapped their set with “This Could All Be Yours.” Ryan said they’d go off stage and ponder an encore after that and would be right back. They came back to the stage and played “Hang On.” Ryan told us they like to unplug and play a final song as they wander through the crowd, so they said goodnight and took to the crowd playing “Jesus on the Radio.” He said they’d play it Pied Piper style, which might not work, but “I’m 40 and can do whatever I want.” I’m not sure how many people could hear the last song (I couldn’t), so the crowd started to clear out really quickly. The boys even carried our chairs back to my car for us. Thanks, Guys! 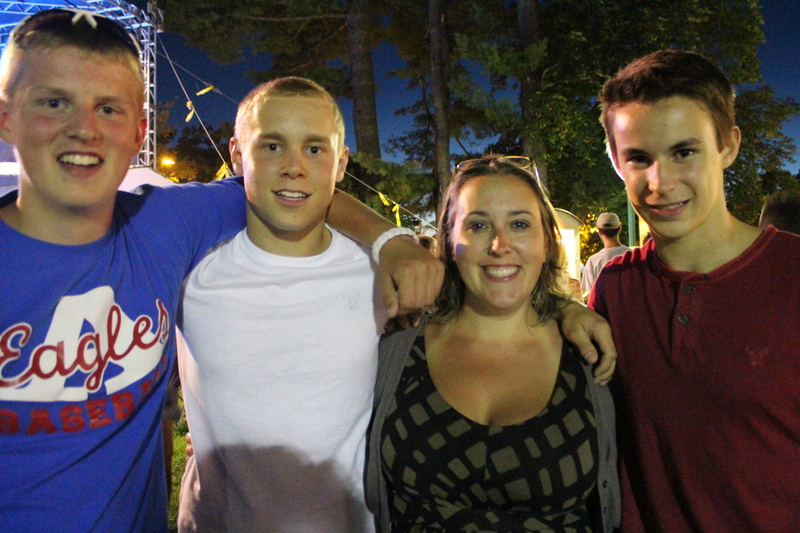 So happy to see Sam, Elliot, and Alec at the show! 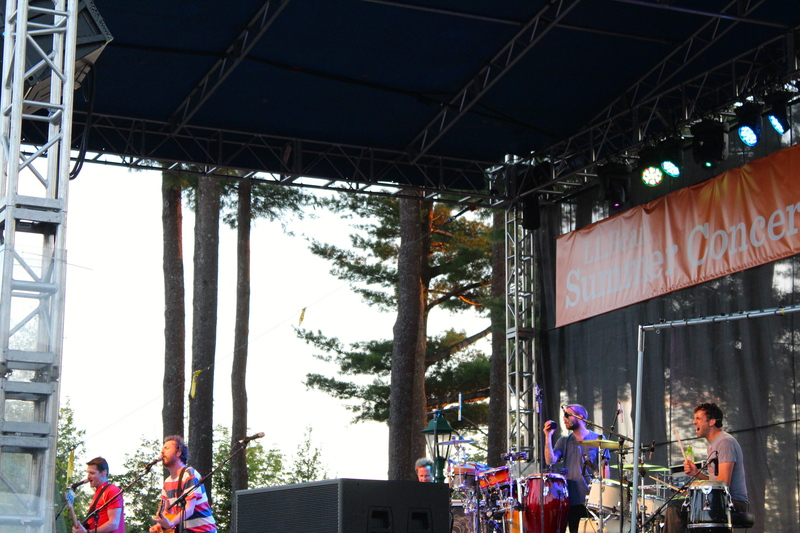 Guster is recording an album in the next couple of months and I look forward to buying a ticket to see them play from the front few rows at an indoor venue soon!